有許多的問題圍繞著巴哈的”六首小提琴獨奏曲”, 按照現在的說法應該是說”無伴奏小提琴奏鳴曲與組曲”. 巴哈是何時編寫這些音樂? 為何和為誰而寫? 在甚麼請況下被演奏的? 而為何一位擅長複音的大師會選擇為一種複音與和弦範圍有限的旋律樂器來編寫音樂? 吾人只能猜測答案應該是為了讓這些作品更加吸引人興趣. 傳奇的小提琴師安奈斯可(George Enescu)的名言描述該組曲是”小提琴家的喜馬拉雅山”, 但在兩百多年間, 這些組曲大多是被當成教學練習, 而不是被當成值得在音樂廳中表演的作品. 孟德爾頌和舒曼曾經嘗試以加入鋼琴伴奏的版本來推廣這些組曲, 布梭尼還改編過著名的第二號組曲(夏康舞曲)中完全不用小提琴演奏. 但一直到1929到1936年間, 有曼紐因(Yehudi Menuhin)首次錄製完整的奏鳴曲與組曲後, 這些音樂才變成主要的小提琴演奏會和錄音專輯的曲目. endary violinist George Enescufamously described the set as 'the Himalayas of violinists', but for more than 200 years they were primarily regarded as pedagogical exercises rather than compositions worthy of the concert hall. Felix Mendelssohn and Robert Schumann tried to popularize them by making versions with piano accompaniment, while Busoni did away with the violin altogether in his transcription of the famous Chaconnefrom Partita No. 2. But since Yehudi Menuhin made the first complete recording of the Sonatas and Partitas, between 1929 and 1936, they have become a staple during violin recitals, on disc and in concert. 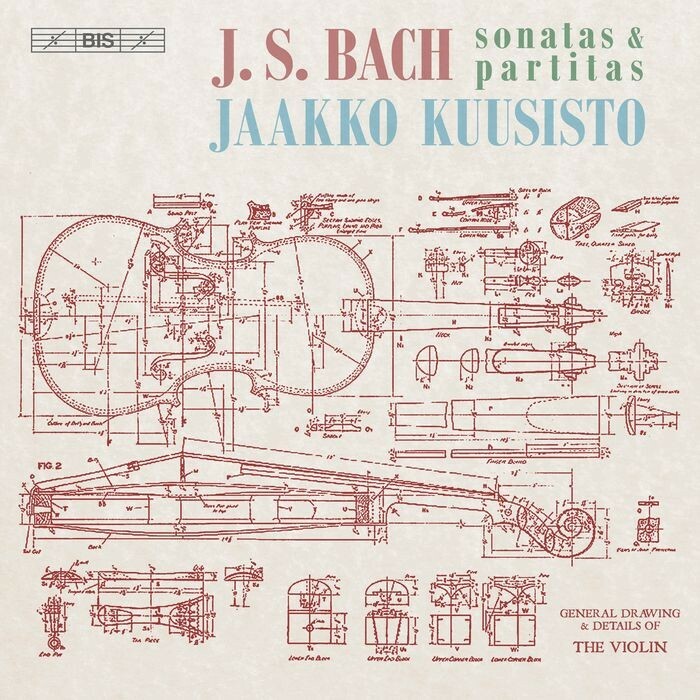 Fascinating performers and audiences alike with their architectural perfection as well as their emotional range, these are works that lend themselves to very different interpretations, and on this recording it is the Bach of Finnish violinist Jaakko Kuusistowe hear. 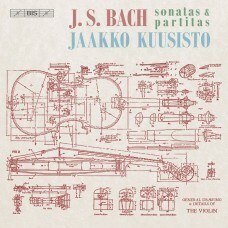 Himself a composer –as well as violinist and conductor –Kuusistoremembers beginning to study individual movements from the set at the age of ten. The music has been with him ever since, and to him 'no other works for the violin provide a higher challenge or greater beauty'.